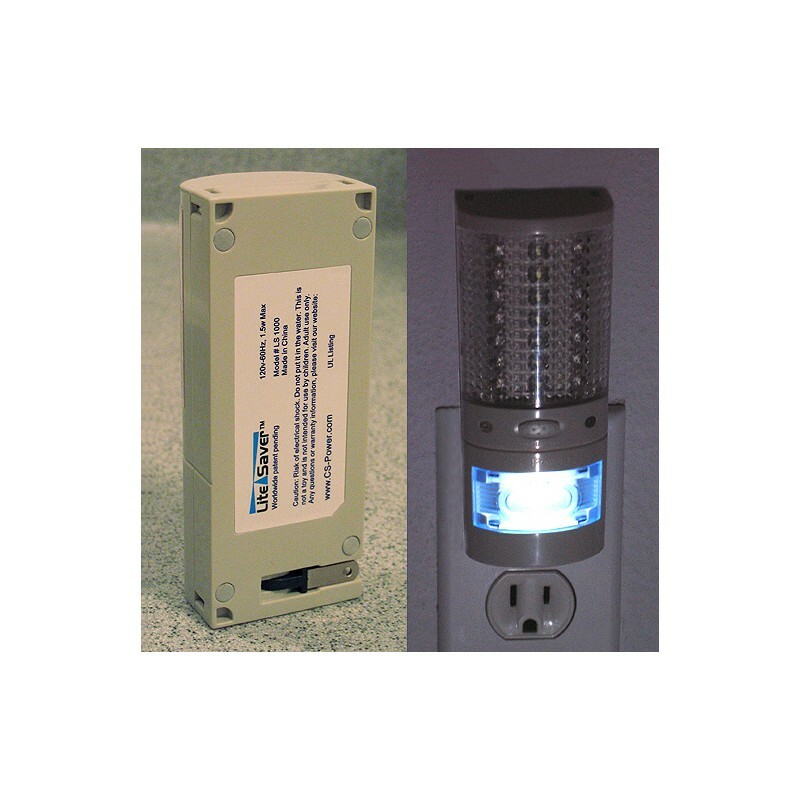 Automatic Emergency Light For Home - Flashlight - Night Lights - Lite Saver - When there is natural disaster like earthquakes, tsunamis, tornados, or just a regular power outage. The Lite Saver will save the day!!! When these disasters occur you can go without electricity for days or even weeks. 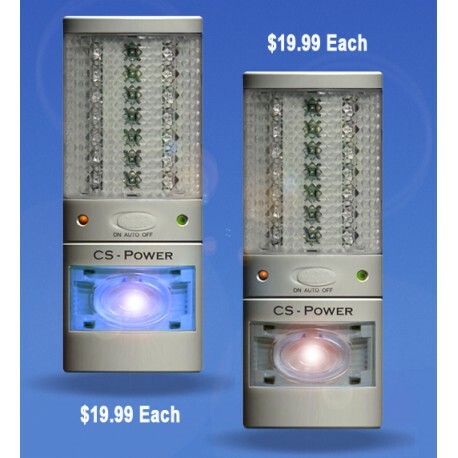 The LS 1000 is equipped with 21 white extremely bright LED lights that will radiate continuously for 8 hours with a radius of 600 square ft. 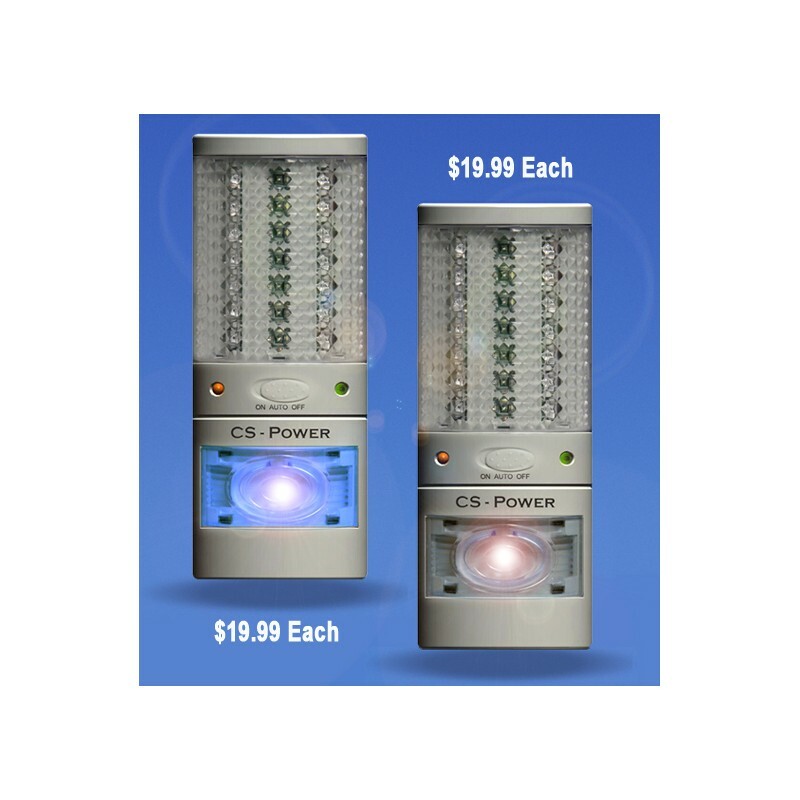 If you need to conserve energy for those long summer nights when power outage occurs you can switch to power saving mode which one led will lit continuously for 144 hours. 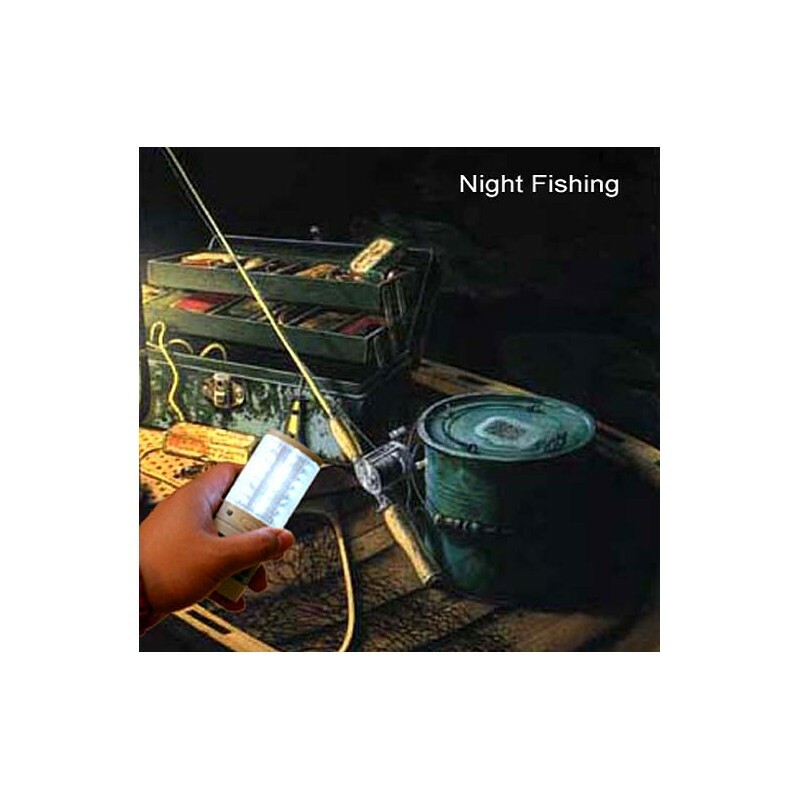 Night Light - Instead of constantly changing those energy wasting night lights, the LS 1000 special LED will solve your problem. Our LED lights are 100% environmentally friendly and will last up to 100,000 hours guaranteed. As we venture into a new decade LED’s have been a forefront in technology therefore why not equipped your home, office or different various business with one. 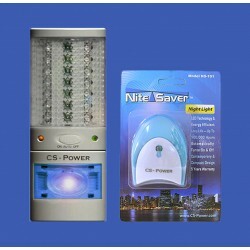 It also provides a sense of security for children when venturing into late night restroom visits. 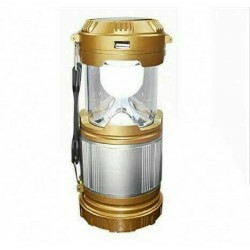 Security Light - As the economy continues to falter the crime rate will rise and what better way to provide security for your family is to arm yourself with our Lite Saver security light. When arming your home with our LS 1000 it not only acts as a night light, it’s also provides as deterrent for potential criminals trying to invade your home by turning off your circuit breaker, which Lite Saver will make your home even brighter than before. Research show that when a house that’s lit, 70% chance you avoid contact with potential burglars. 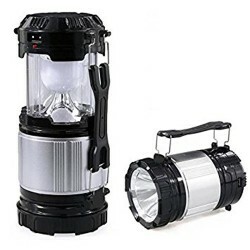 Safety / Utility light - Next time you and your family plan an adventurous outdoor vacation make sure you arm yourself with the LS 1000. Many things can occur during one of these outings so being prepared is a good strategy for your family to enjoy a fun and safe vacation. Let’s say you have car problems such as a flat tire, engine problems, or even dead battery. The LS 1000 multipurpose light will brighten your night by radiating the gloomy atmosphere when you endure those obstacles. 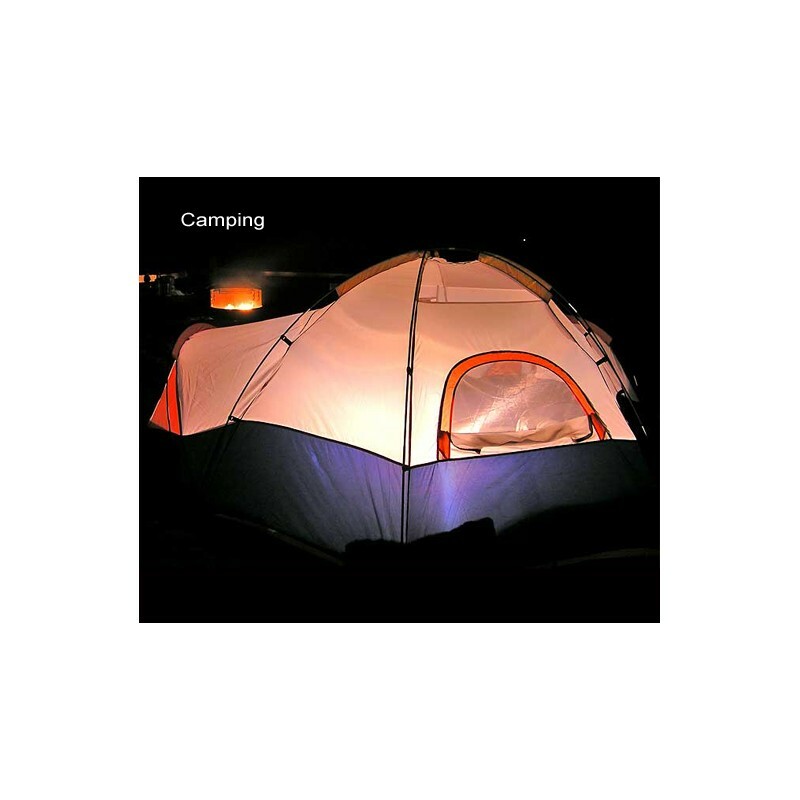 The LS 1000 also comes in handy when you do reach your destination at camp site especially night fishing. We offer a special carrying case when you purchase are double pack and that is essential when trying into outdoor events. Never use candle in emergency - It's so easy to catch a fire. 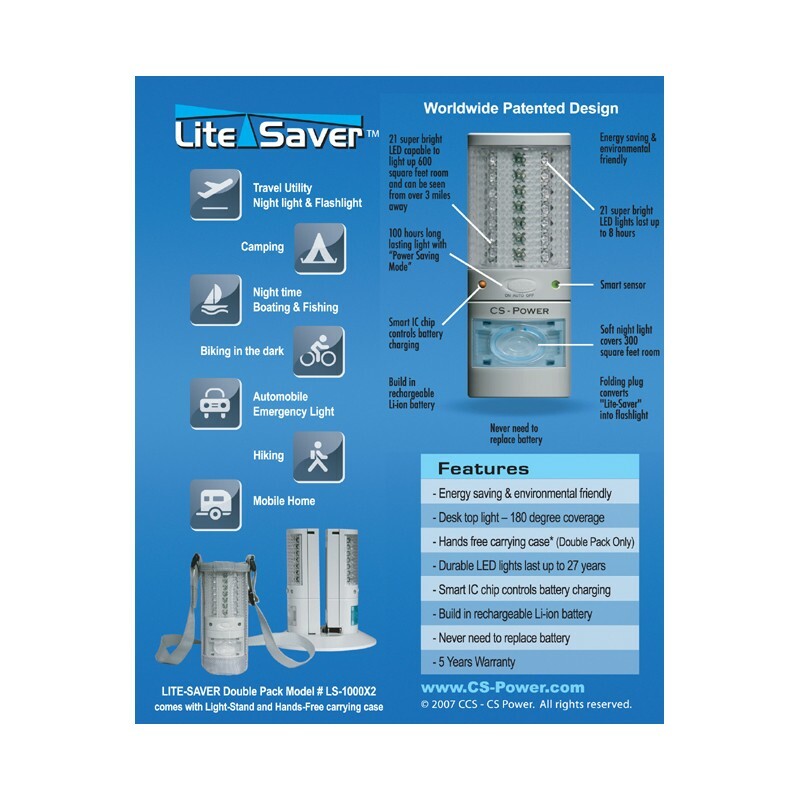 Lite saver uses "Never Hot" LED light bulb, which can last over 100,000 hours. It's safe and environmental friendly. Special 3 rows LED design that covers 180 degree and it stands by itself to provide a hands free convenience. Never buy a cute or cartoon character light for your kids - Because you are drawing your babies' and kids' attention to a dangerous electrical outlet. Lite Saver builds in with a "Smart ic chip" to control charging of the li-ion battery. 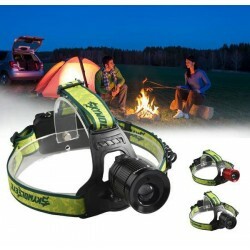 So, you never have to purchase any battery for this emergency flash light. 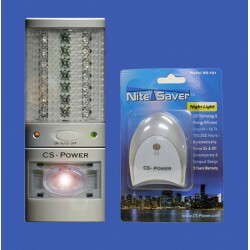 "Smart Sensor" - Lite Saver will turn off automatically when is bright, and turn on when the room gets dark. For example: If power outage happen at 10:00AM - normal emergency light will turn on immediately, so by the time you got home, the battery is gone. Lite Saver will not turn on until your house gets dark. Just simply smarter than others. Dimension: (H) 5" - (W) 1 15/16" - (L) 1 1/2". Battery: Build in 2000mAh rechargeable li-ion battery. LED Light Bulb: 21 LEDs on top, 1 LED at bottom. Usage Time: 21 LEDs - 8 hours, 1 LED - over 144 hours. Can be use: Indoor or Outdoor. 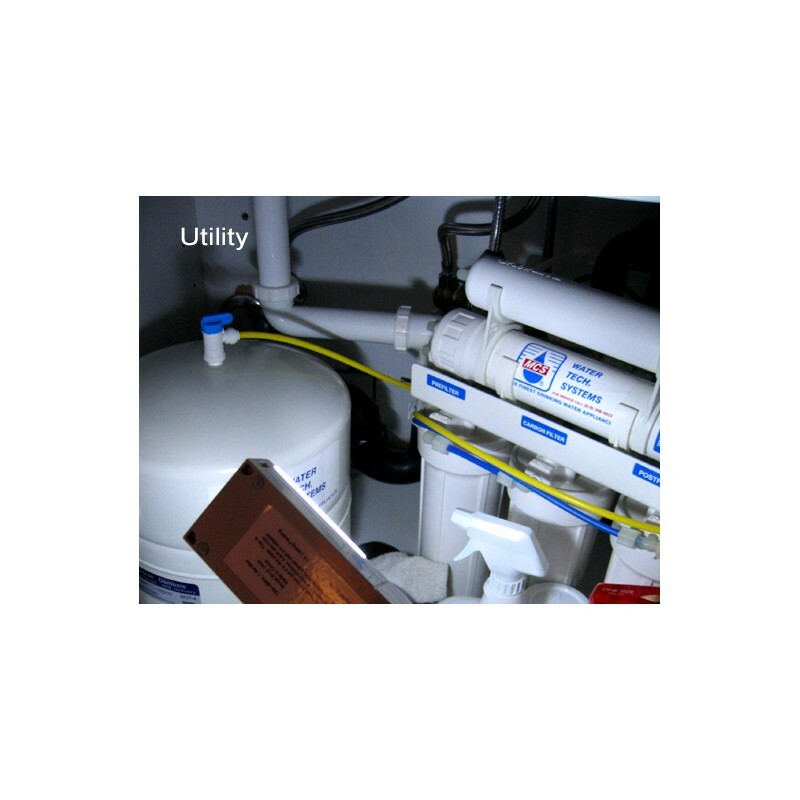 **Customer who purchased this product and continue reordering with us: NASA, US Army, US Navy, Hilton, Hampton Inn, Many different Hotels & Resorts, Senior Citizen Homes, Los Angeles Dept Water & Power, Hospitals, Museums, City & County Office Building and 50,000 US & Canada household. Click Here for "Double Pack $39.88" with Accessories. 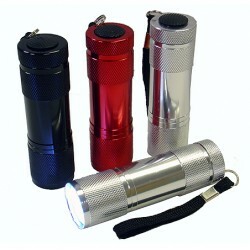 "When Emergency Comes Along" - You never have to look for a flashlight, "Lite Saver Will Find You!" 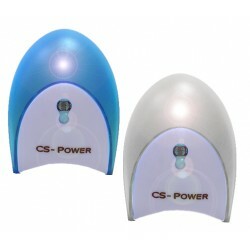 "Bottom Night Light - Blue is more soft and romantic, White is more bright. " "So, how many do you need for your house, office, warehouse and your next outing?"